On May 17th, Motorola is expected to unveil the Motorola Moto G4 and Motorola Moto G4 Plus in New Delhi and in Mexico. Today, the Lenovo owned company started teasing a new phone using the company's India based Twitter account. In a series of tweets, Motorola introduces us to various dating scenarios that go awry. Of course, the solution to each problem is easily fixed with one of the features on its new phone. Obviously, we believe that the teasers are about the Moto G4 or the Moto G4 Plus. 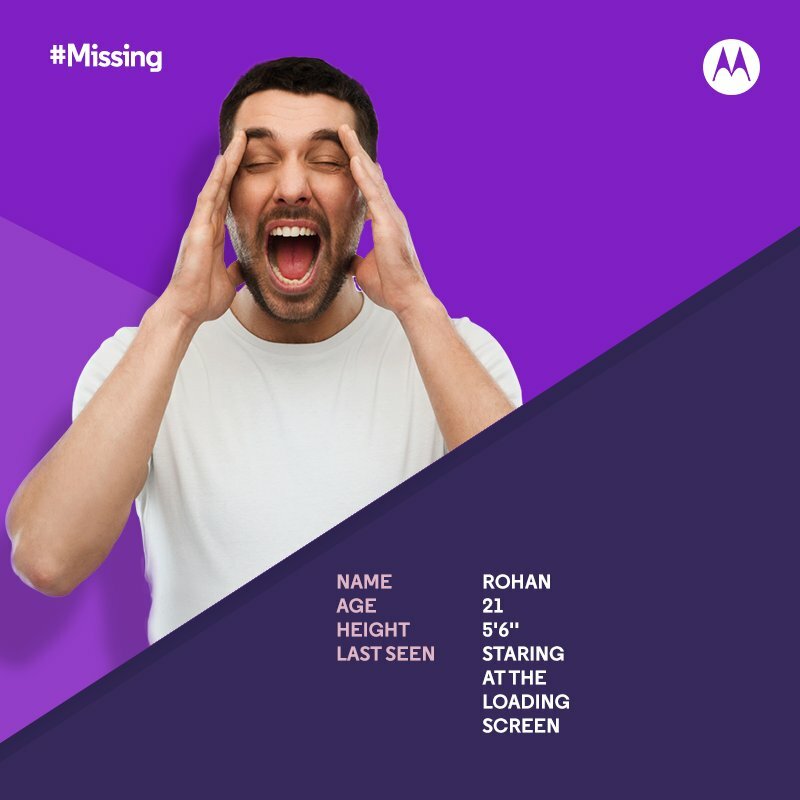 With the hashtag #Missing, Motorola is pretending to send out posters of missing people. One example is 20-year old Kevin who was about to propose to his girlfriend by text when his battery died. The tweet says "#MISSING since he was about to propose a girl he likes. With better battery, no more missing out. Coming soon!" Other features teased by Motorola include improved security and a better camera. The Moto G4 is expected to come with a 5.5-inch screen with a 1080 x 1920 resolution (FHD). An octa-core CPU will be under the hood, along with 2GB of RAM and 16GB of native storage. A 13MP camera will adorn the back of the phone. The Moto G4 Plus is expected to carry a fingerprint scanner in the home button, and a 16MP rear-facing camera. We should know all on May 17th. In the meantime, check out the slideshow to see the teasers. Notice the height of the people; 5'5", 5'7", and 5'3". hints to the screen sizes maybe? 3 phones one with 5.5" one with 5.7" and one with 5.3" display? Annie could get it. G4? I'm assuming this is a 4th gen Moto G? I don't think I'd call it that due to the similarities to the LG device. There have been similar names in the past. HTC had a G2 long before LG released their G2. Using a single letter and number for a model designation, it won't take long and they're going to start to double up. With a phone like that, why do you use this site? How does one take pictures with a 2MP camera and live with 3.5G?? So you're presuming that anyone that prefers a larger screen doesn't have a life. Ha, okay. It's fine if you prefer a smaller phone, go for it. But why does that necessitate you deride someone else's preferences? I'm 6"2, well-built and I have big hands. A 4 inch phone would feel like a toy to me, and there are many others like me. And I'm not even sure what screen size has to do with how many apps you use, that's just a weird connection to make. What about a better warranty? Current Moto G 4G user - love Motorola but wish they weren't so big! Also one of the apparent few who seek a truly compact, powerful phone. Droid Mini is pretty good but getting old, love Sony but the Z compacts are still not quite small enough... Waiting for project Ara small size? I am hoping that Motorola releases a 5 inch model, because I want a smaller phone than my Meizu M2 Note. Been thinking of getting the Xiaomi Redmi 3 or Moto G 3rd gen. Last year was the year of 5 inch phones, this year it seems everything is gravitating to 5.5 inch. Many companies seem to have killed their mini series as well as their max series, so phones under 5 inch and over 5.5 inch are disappearing.